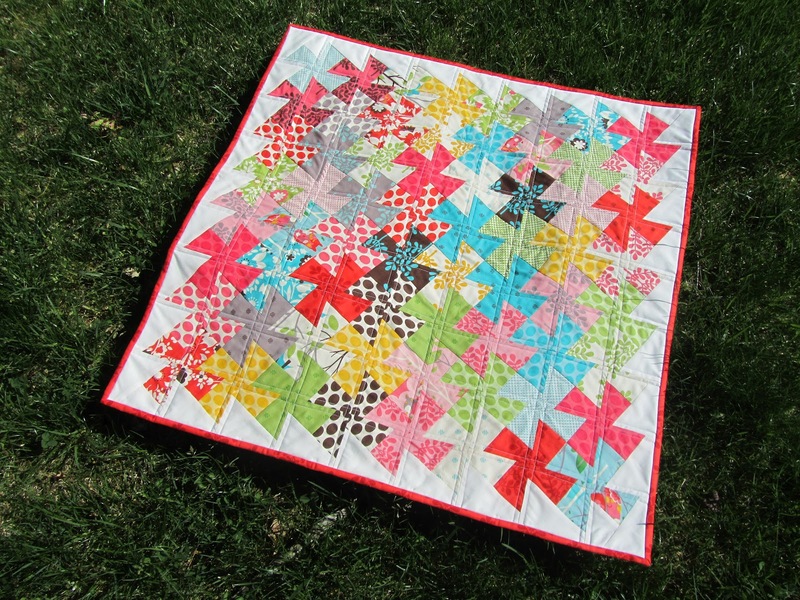 A Quilting Jewel: Twister Quilt Finished! 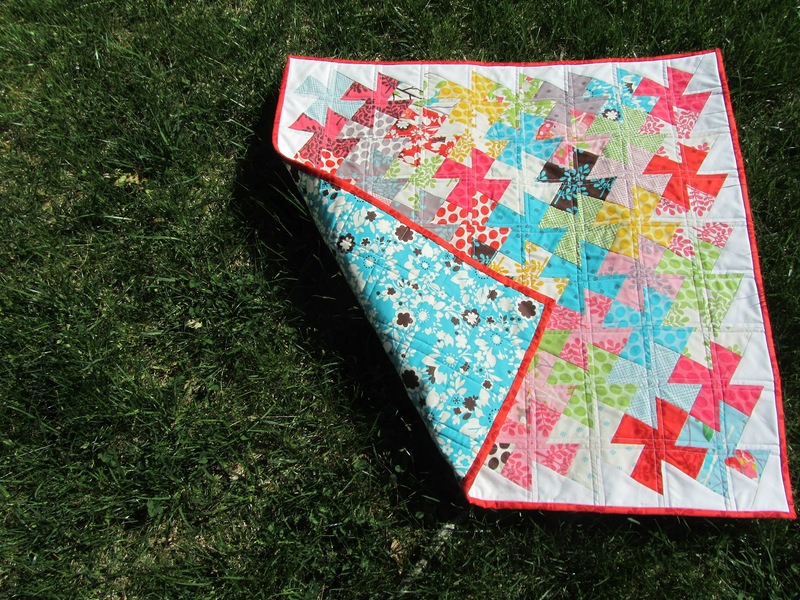 This weekend I finished putting the binding on my twister quilt. I love the way it came out. I used two It's a Hoot charm packs for the twister portion. I then used coordinating fabric for the binding and backing. The white around the outside of the quilt is a Kona white. 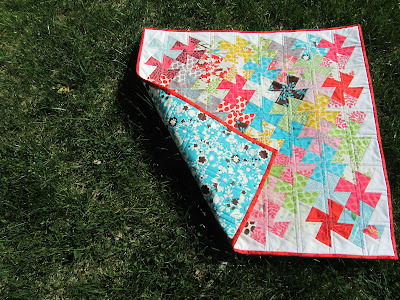 I quilted this little quilt on either side of the horizontal and vertical seams. 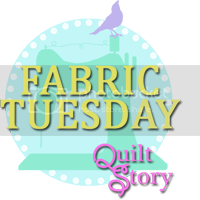 I was trying to think of some way to play off the twisting pinwheels, and realized that with this type of quilting, the quilting would go through the long point of every pinwheel. I love this mini quilt. 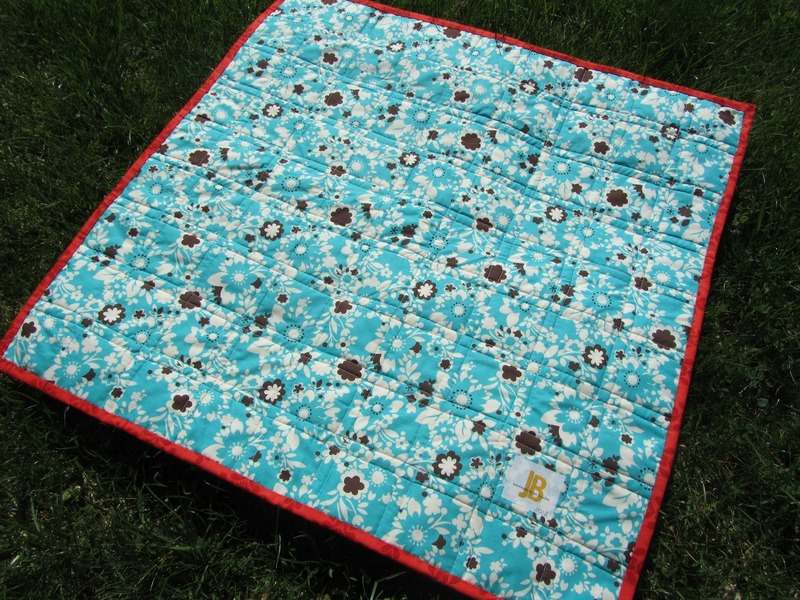 I think it would be a perfect baby quilt. I know so many people having babies this year, so who knows, it could wind up being for one of them. 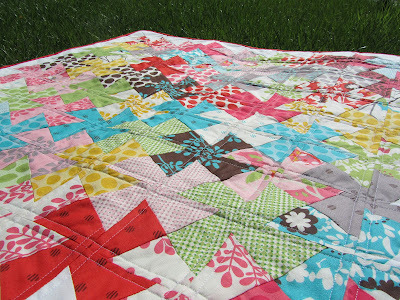 I can see myself making more of these twister quilts in the future. They come together so quickly and look great. 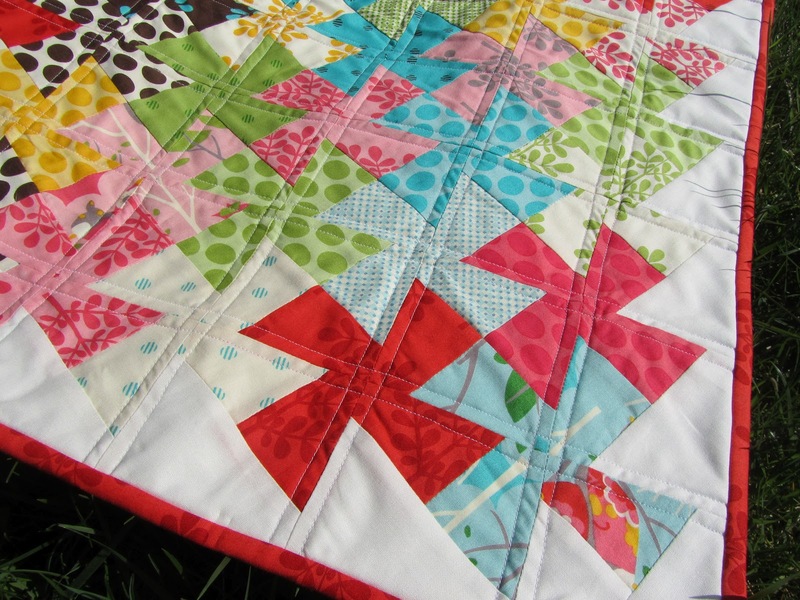 Adorable quilt!!! You did a great job :) I love all the different fabrics, they really play well together. I love the fabrics that you put together for this one. I'm still finding my way with colors and patterns. Beautiful! I enjoyed trying a similar project recently. Looks great!